Katy Perry just shared some major, if not entirely shocking, news on Instagram: She’s the face of Moschino’s Fall ad campaign. The team-up comes as no surprise, as the pop singer has worn Moschino to seemingly every big event over the past year. 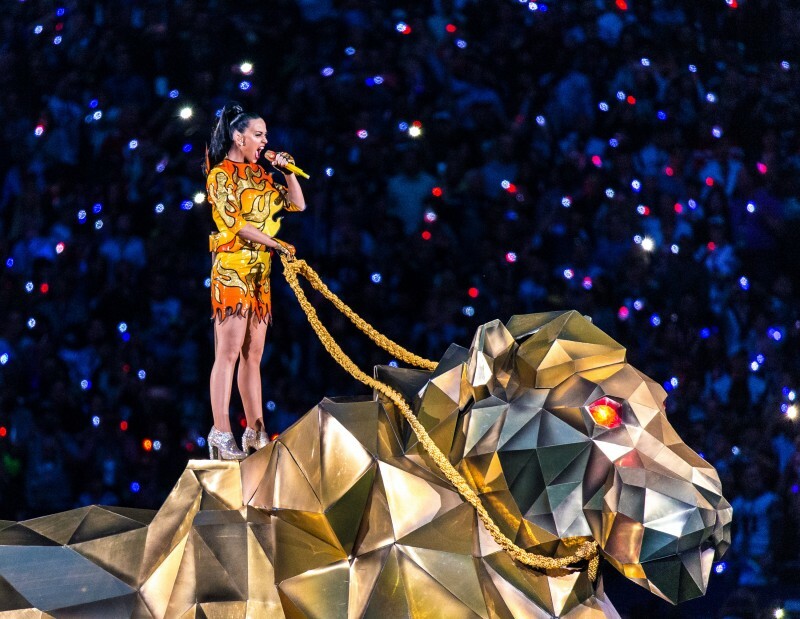 Her Superbowl half-time looks were comprised of four Moschino outfits, And the Met Ball? Moschino, too, of course. Plus, she’s one of creative director Jeremy Scott‘s closest pals. In the campaign shot, Perry dons a patchwork denim jacket, a gold bustier, and layers of chains. Shot by Inez and Vinoodh and styled by Carlyne Cerf de Dudzeele (clearly! ), we can’t wait to check out the full campaign. Here are some of our favorite Katy Perry-Moschino moments….